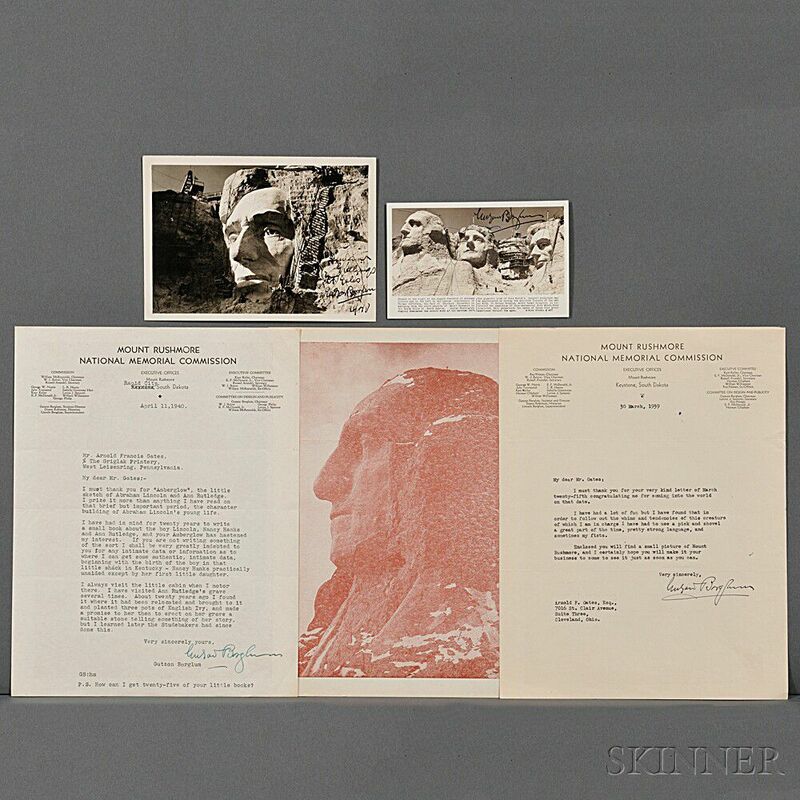 Borglum, Gutzon (1867-1941) Three Typed Letters Signed and Two Signed Picture Postcards. The letters typed and signed on Mount Rushmore stationery, each with a full page sepia-tone photograph of the Washington portion of the monument printed on the verso. All addressed to Arnold Gates, thanking him for good wishes, referring to Borglum's desire to write a book about Abraham Lincoln as a boy, and thanking Gates for sending copies of the book, Amberglow, the three letters from 1939 to 1940, each with folds, 8 1/2 x 11 in.